Two men last week traveled 103 miles across Greenland on foot, claiming a “first known time” of the Arctic Circle Trail in the winter. They completed their route in 3 days, 12 hours, 6 minutes. 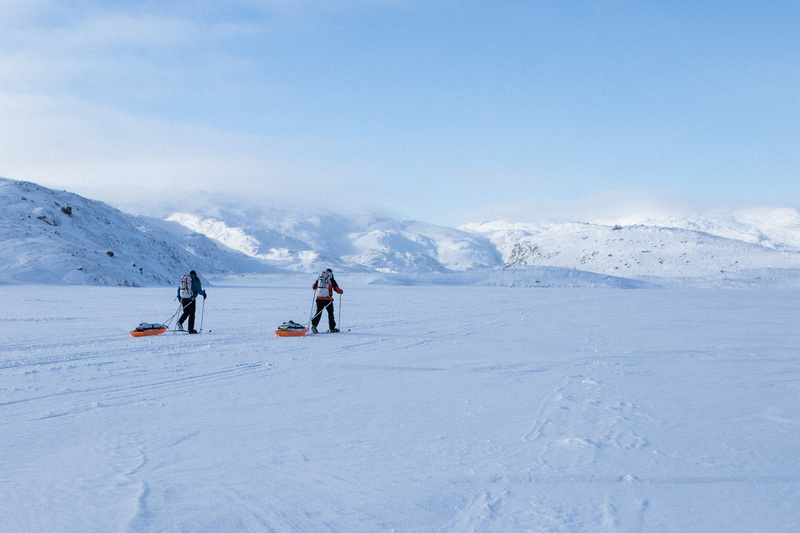 Jason Antin and Mike Chambers set off from the Polar Lodge in Kangerlussuaq, Greenland, on March 4. Their goal? 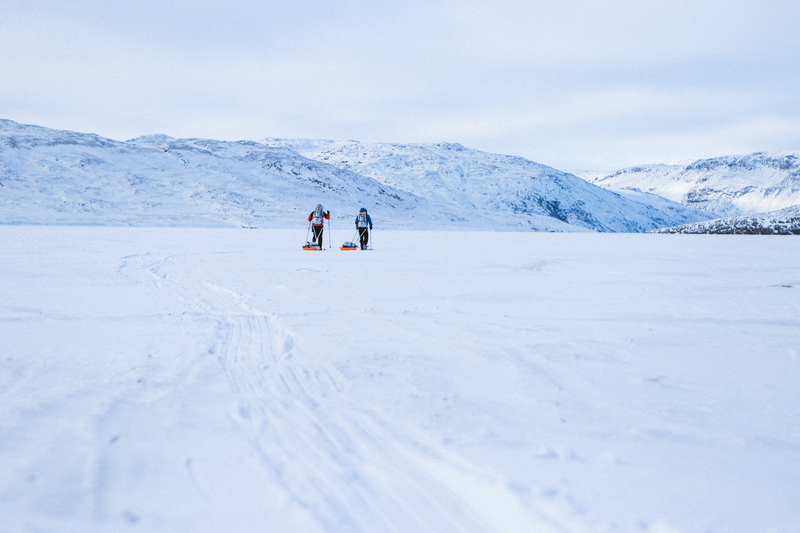 To ski and hike 103 miles, self-supported, through temps as low as -20 degrees F.
They arrived at their destination, Hotel Sisimiut, at 8:28 p.m. on March 7. Using Nordic skis outfitted with ice trek bindings, the duo of Merrell athletes found fast conditions with thin snow cover. They wore Merrell’s forthcoming Thermo Rogue boot for the trip, allowing them to walk over hard-packed sections of the trail with relative ease. The journey was not without challenge. “My ski binding broke with 22 miles to go, and we marched the rest of the journey on foot,” Chambers said. The Arctic Circle Trail crosses about 103 miles from Kangerlussuaq, home to Greenland’s largest international airport, to the west coast fishing town of Sisimiut. Chambers said that he and Antin chose the trail for its remote, under-explored nature. Chambers said fewer than 1,000 people hike the Arctic Circle Trail yearly. And almost all of them do it in the summer. In the winter, the trail is primarily used by Greenlanders traveling between Kangerlussuaq and Sisimiut via dog sled or snow machine. It also crosses prime hunting grounds for musk oxen and reindeer. It crosses several long lakes and undulating terrain. The team recorded about 10,000 feet of elevation gain and loss on the route. The team towed six days of food and fuel in a sled that weighed around 55 pounds. They used the huts along the trail for boiling water and catching some sleep. “We were followed by a film crew from Stept Productions but received no outside support. As far as we can tell, this most likely constitutes an ‘only known time,’ though the local tourism guide in Sisimiut, Bo Lings, said that he has no doubt that it’s the fastest human-powered winter traverse,” Chambers said. The team is now exploring the area north of Sisimiut for skiing and climbing.